LONDON – Bernard Slade, who turns 85 today, created TV shows such as “The Flying Nun” and “The Partridge Family” but he had his greatest success with the smash hit Broadway play “Same Time, Next Year”. 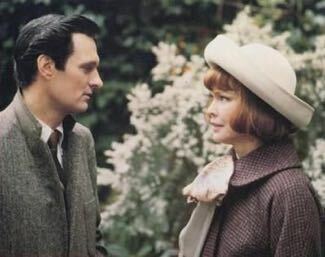 The Canadian writer was nominated for an Oscar for his screenplay of the 1978 movie version of “Same Time, Next Year”, which was directed by Robert Mulligan and starred Alan Alda and Ellen Burstyn (pictured below), who had won a Tony Award for the stage version and was nominated for an Osca as best actress for the movie. On the plane, he began to write his play: “I write well on planes; there’s nothing else to do. By September 1974, the completed play was in the hands of a producter. It was cast, a director chosen and rehearsals began the following January. Within weeks it was previewed in Boston. In the spring, Bernard Slade was the toast of Broadway and his play, “Same Time, Next Year” was the biggest comedy hit in years. Slade went on to write more plays, notably “Tribute”, which starred Jack Lemmon on Broadway and in the 1980 Bob Clark movie version for which he was nominated for an Oscar as best actor, and “Romantic Comedy”, which starred Anthony Perkins and Mia Farrow on Broadway with Dudley Moore and Mary Steenburgen in the 1983 Arthur Miller film version. 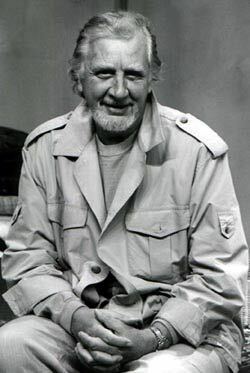 This entry was posted in Film, Interviews, Memory Lane, Recalling ..., Television, Theatre and tagged 'Bewitched', 'Same Time, 'The Flying Nun', 'The Partridge Family', Bernard Slade, Next Year'. Bookmark the permalink.